Yakiniku Zen is a Yakiniku restaurant in Ikebukuro, Tokyo. This is the first Yakiniku restaurant in Japan using bamboo for grilling meat. There are two restaurants in Ikebukuro. One of them, "Ekimae-ten", has a private room. It can be used from 2 people to 20 people. You can enjoy Yakiniku with bamboo in the relaxed private space. 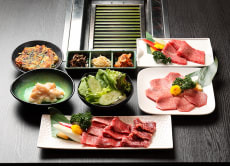 Please try the bamboo-grilled Yakiniku during your stay in Japan! Try Yakiniku grilled on a bamboo at Yakiniku Zen, Tokyo!